Bah. Today wasn't really working for me and wasn't feeling it and my concentration was everywhere. Tried compensating for distance and also pulling my line drawing ever so slightly to maintain a straight line. Might need to take it slightly slower. Circles. I don't think i'm quite ready for the full thing. 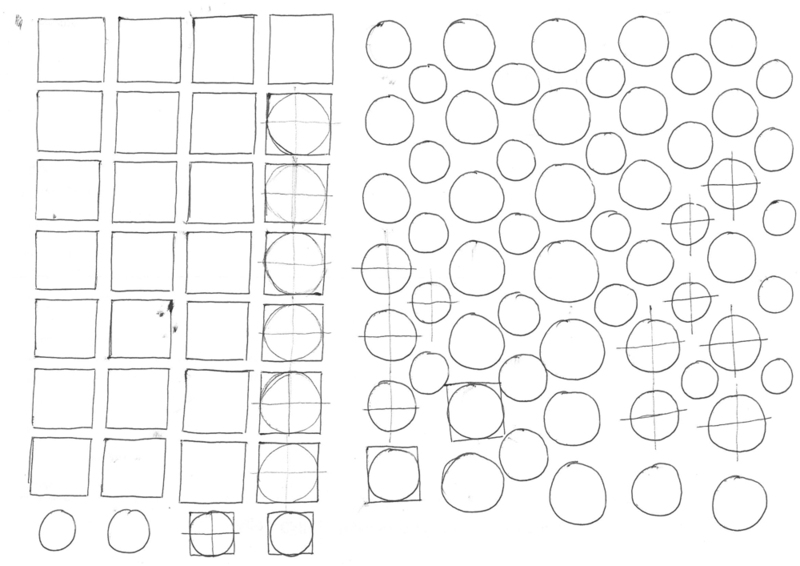 I'll play around with semi circles and get the motion right and then add the last quarter and then the full thing. Might even add some crosses or something as markers . tried adding them to the squares and they sucked. So did the square.